José Bellver, M.D., Antonio Pellicer, M.D., Juan Antonio García-Velasco, M.D., Agustín Ballesteros, M.D., José Remohí, M.D., Marcos Meseguer, Ph.D.
To analyze the reproductive outcome of recipients of donated ova according to their body mass index (BMI). 9,587 first cycles of ovum donation with ova from normoweight donors. Implantation, biochemical and clinical pregnancy, miscarriage, and live-birth rates. In vitro fertilization laboratory parameters did not differ according to BMI. However, implantation, pregnancy, clinical pregnancy, twin pregnancy, and live-birth rates were significantly reduced as BMI increased. 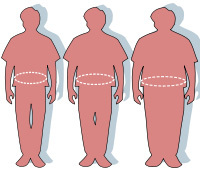 In the lean, normoweight, overweight, and obese groups, the implantation rate was 40.4%, 39.9%, 38.5%, and 30.9%, clinical pregnancy rate was 56.9%, 55.9%, 54.3%, and 45.3%, and live-birth rate was 38.6%, 37.9%, 34.9%, and 27.7%, respectively. However, clinical miscarriage rates were similar in all the groups. Female obesity impairs the reproductive outcome of ovum donation probably as a result of reduced uterine receptivity.